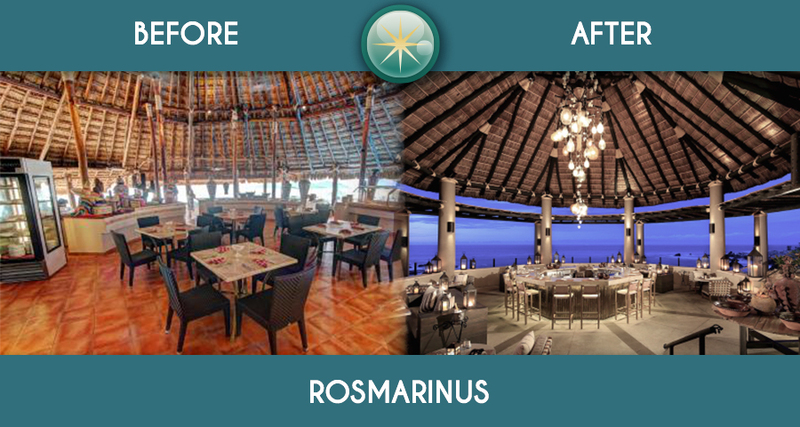 This is what Rosmarinus restaurant will look after the Royal Solaris Cancun renovation project. With an investment of more than12,000,000 USD, the renovation project of Royal Solaris Cancun will completely transform and revitalize the most important resort areas. Club Solaris and Royal Solaris Resorts announce a significant and long-awaited renovation project in Royal Solaris Cancun. The renewal has already started on October 1st of this year (2018) with a projected end date of January 2019. With an investment of more than $12,000,000 USD, the renovation project will completely transform and revitalize areas like the lounge, Bars, Restaurants, Kids club, theatre, Lobby, rooms, Premier services, and Members bars. It is essential to notice the improvements will be made in stages until the hotel has completed all of the planned modernizations so that the Resort will be utterly functional during this process. After the improvements, the Royal Solaris Cancun indoor and outdoor facilities will reflect a state of stylish elegance and luxury, A new modern concept to our installations that are going to be at the forefront of our award-winning hotels, with the primary objective to provide unique vacation experiences to every guest and member of the Club Solaris.